Given today’s current world situation I’d say it’s time to sit back and take a good hard look at what you have on-hand for food, water and other preparations. World leaders are rattling sabers at each other, discussion of a trade war has been in the media, the market routinely has 400 point swings, and the weather has been getting warmer causing giant storms and flooding. 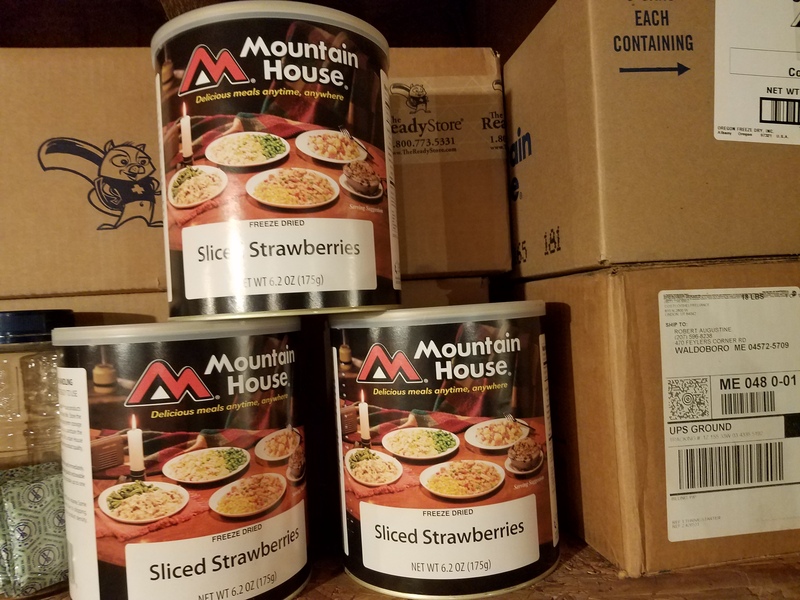 This isn’t about being a crazy prepper and storing up for when the zombies come, this is about having enough supplies on hand to get you and your family through a tough time. Whether that’s from a natural event like a storm, a man made crisis like war, or simply losing your job, you’ll want to have at least seven days of food and water on-hand. First of all seven days really isn’t that long for an SHTF event. If you’re thinking a long term scenario you’re covered for a week and then after that you’ll be standing in food lines just like everybody else. Think it couldn’t happen to a modern economy? Just ask the folks in Venezuela about the food shortage there. A month or more might be a better target to aim for. If you don’t have a little extra food and water stored away for an emergency here’s some reasons you might want to. Storms. As the weather grows warmer expect the storms to get worse. Puerto Rico was crushed this year by Hurricane Maria. This was the deadliest storm of the “hyperactive” 2017 storm season and left the island devastated and it will take years to recover. Our economy is based on an unsustainable model of constant growth. Our planet is big, but it won’t be long before we deplete its resources and cause a collapse of some kind. Whether that manifests itself as a market crash or a huge societal shift due to a lack of raw materials remains to be seen. Check out Chris Martenson’s Crash Course for more information. Seriously. Take the time to watch this eye opening free course. Ever heard of the Great Depression? It could happen again. Grid troubles. Our aging electric grid is at risk from electromagnetic pulse (EMP), hackers (who have already tried to break in), and Coronal Mass Ejection (CME). If you want to know what it would be like if the grid went down go to your breaker box and flip the main switch for the weekend. That will give you a pretty good idea of what to expect. Mother nature. This could fall into the first category, but there’s a lot more to it than just storms. I live in Maine so there’s a ton of snow in the winter. A good storm can take us off the grid up to a week or more at a time. In the Midwest there’s tornadoes. In California there’s earthquakes, and many areas are drying up as the climate grows warmer and are under the risk of forest fire. You don’t need a complete societal collapse as a reason to have a weeks worth of food and water on hand. So how do you go about setting aside food and water for an emergency? You might not have the money to go out and and buy a full week of food all at once, but that’s ok. Here’s a couple of strategies you can use. Remember that if things go south there’s likely to be no power. No power means no refrigeration, so whatever you buy will need to be canned or dehydrated or not need refrigeration and have a long shelf life. Instead of buying all the food at once, the next time you go shopping pick up a couple of extra cans of food and store it in your pantry. Make sure to buy something you’ll eat so it doesn’t get wasted. Every time you shop follow this strategy and pretty soon you’ll have enough food for a week saved up. Don’t forget a can opener! I’ve used a survival knife to open canned food and it can be messy. You can also pick up rice and beans, which will stay good for a long time if stored properly. Of the things you’ll need most shelter and water are at the top of the list. In this article I’m assuming that you’re bugging-in, or staying at home in case of emergency. Since you’ve got shelter the next most important thing is water. If you need to you can store water in plastic soda bottles. Like the Boy Scout motto says, “Be Prepared.” Having food and water stored away is a great first step, but by no means all-encompassing. We’ll discuss other items in later posts. Do you have food and water stored? Do you feel like you’re prepared in case of an emergency?